Left’s Community Engagement Program, which includes unlimited paid time off to volunteer, is one that has created an identity for Left and the amazing people who are involved. Last year, our team of 45 employees in BC volunteered an incredible, 1745.75 hours — that’s an average of 38.79 hours per employee! Our program consists of three pillars: unlimited individual community days, quarterly commitments, and 101% participation. Read on for a recap of 2018 and the elements of our award winning community engagement program. employees when they leave the office to do so! These volunteer initiatives look different for every Lefty as we let our staff define their own communities. The only ask is that hours are recorded and a picture is taken to share with the team to inspire them to get out and do the same. 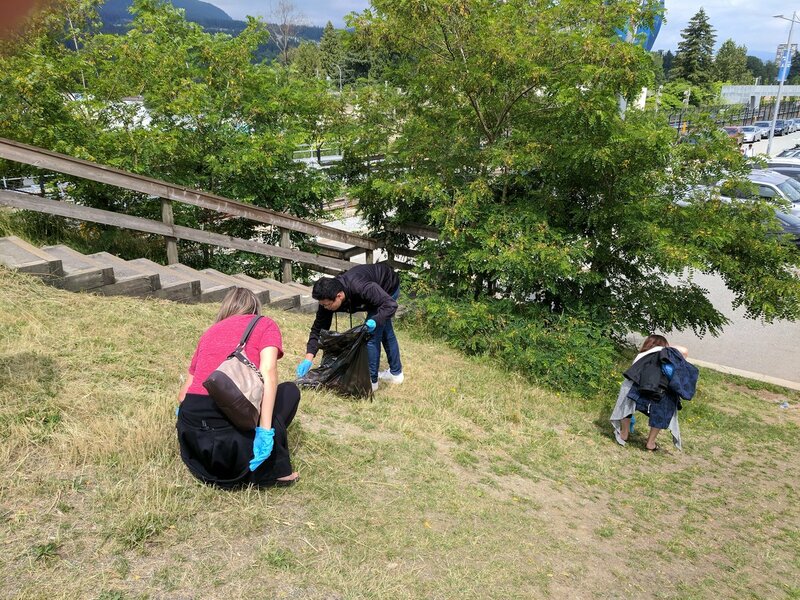 Some of the amazing initiatives that our Lefties volunteered for in 2018 include: the SPCA, TedX, Immigration Services Canada, Womens Collaborative Hub, ACM, the Poco Grand Prix, the YWCA, Crisis Line, Coquitlam Adopt a Street Program, VOKRA, and many more. Four times a year we have company wide volunteer days. The initiatives are selected by our Culture Club. 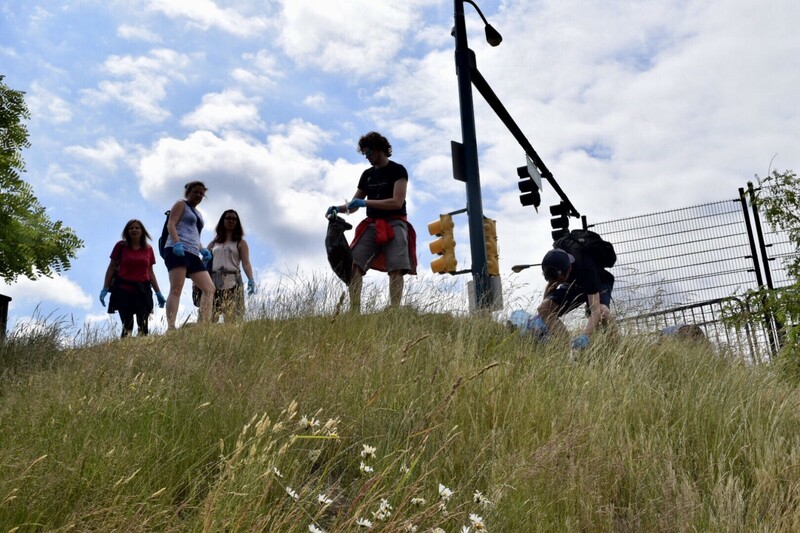 Highway and Park Clean Up: In the summer, our team cleaned up our local highway and park. Highways and parks are a big part of our community that often gets neglected, and we wanted to take the time to show them the respect they deserve. 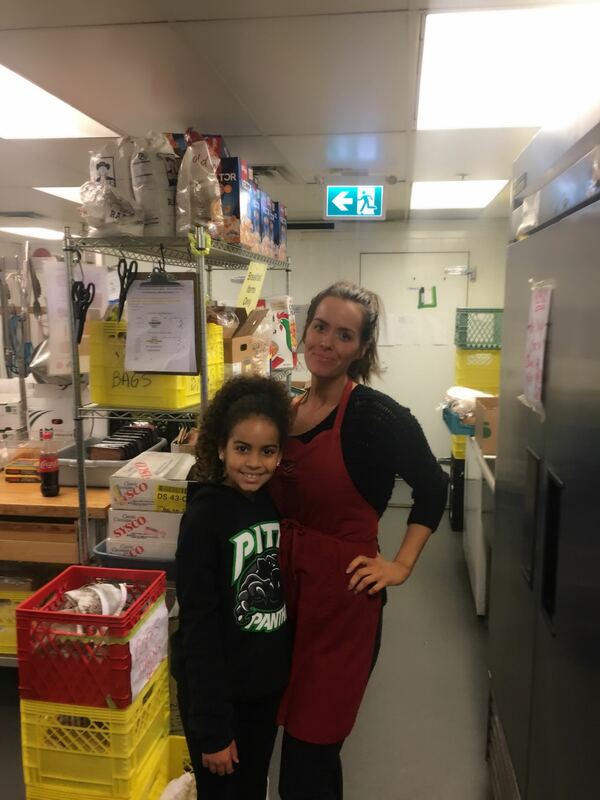 In September, a large group of Lefties spent time grocery shopping and preparing a meal for 200 individuals staying at the Ronald McDonald House in Vancouver. Hour of Code: We welcomed 100 children from grades 2–7 to our office for an Hour of Code, a global movement dedicated to expanding access to computer science in schools and increasing participation of women and underrepresented minorities. 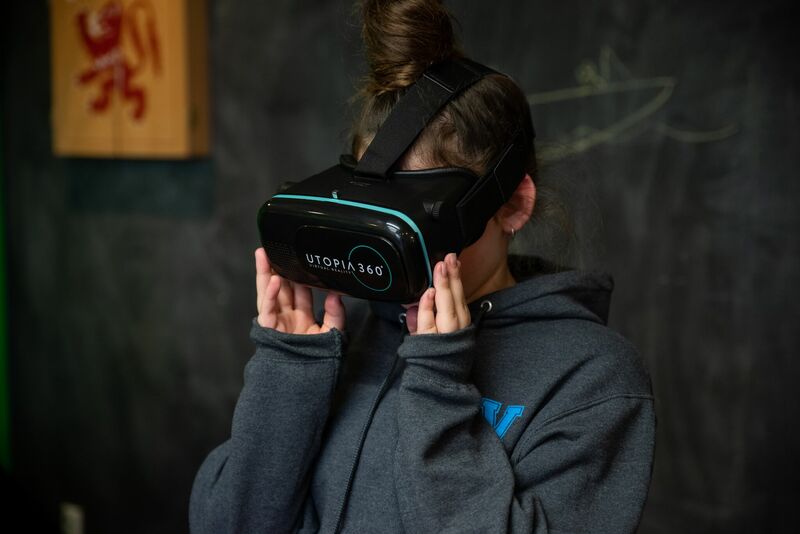 Students toured the office, participated in hands-on tutorials, learned about diverse careers in tech, and played with an oculus rift, robots, and 3D-printers. To address the gender diversity gap in computer science, a girls-only session was also held. Each year, we sponsor a family with a hamper that we personally deliver. 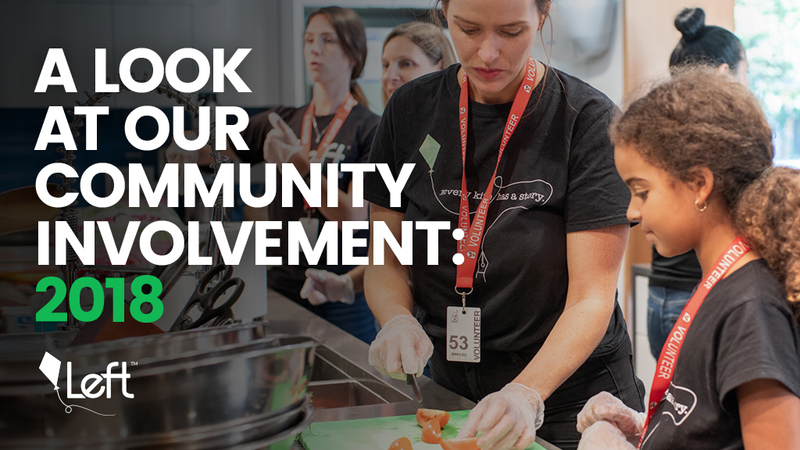 Our community engagement program is employee led — supported by our families and Left– this is the extra 1%. As a team of 45 in Maple Ridge, our Lefties have each volunteered a considerable amount of their time in 2018. We are so proud of the impact our Lefties have had in our communities, and we are looking forward to seeing what they will do in 2019 as our Left family continues to grow.